I do lots of live training, face to face and online, and I always encourage students to bring along any business problems they would like some help with. Last week I had a great problem that Debbie shared with me that I thought was worth creating this blog article. I have modified the back story a bit, but the concept is still the same. Take the following situation. There are policies (think of them as contracts) that have a policy start date. The policy has a total value, but you want to phase the timing of the cash flows over a 12 month period commencing in the first month. As always, such problems cannot easily be solved without some good quality test data. I set up the following test data in Power Pivot for Excel. The phasing in this example is always a defined % for each month as shown in the phasing table below. Note how my test data spans more than 12 months (ie I have at least 1 contract with a policy start date that is more than 12 months after the first) and the value of each policy is different, yet easy to conceptualise. Good test data is essential to solving complex problems (all problems actually). I wanted to make sure I could identify issues that may only show up in the second year and also issues that may be hidden if I set all policies to the same value. Those that you have never solved before. Get the phasing working in a sequential way (eg month 1, month 2) ignoring exactly “when” the money would come in. Push the phasing out (somehow) to align the incoming money to the actual month. Frankly I had no idea what the exact solution would be when I started. One of the biggest differences between Power Pivot/DAX and Excel is the data is hidden in tables under the hood (in the data model). In my view, the only way to solve such problems is to create a visualisation that shows that hidden data in a meaningful way so you can “see” what is going on. 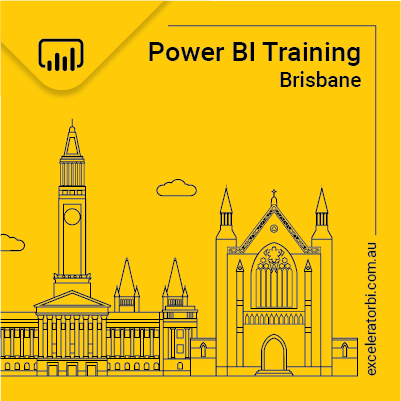 So ALWAYS create an appropriate pivot table or a Matrix (in Power BI) to help. Originally when I started with this problem I created a relationship between the Policy Date and the Calendar table. After some testing and failures I decided to remove this relationship and instead use a disconnected table model. This is a tricky problem and I didn’t know how to solve it. All I knew was I needed to solve one part of the puzzle at a time, then move on to the next bit. I actually sketched out the final report on paper before I started so I was clear what I was trying to achieve. Here is the final result of my work to help you visualise where I was heading. The rest of this article explains how I went about solving the problem. As you can see above, this measure correctly identifies the first Month ID for each Policy regardless of what the Calendar table is doing. OK, next problem – I needed to be able to return the correct percentage to allocate in the same pivot table. The formula wasn’t hard to write as you can see below. And here is the measure in the pivot table. Note that the measure returns the correct result regardless of the YYMM and the Pol Date. Note that in the Pivot table below I have placed the Phasing Month number from the Phasing table, not the YYMM from the calendar table. The Phasing[Month] means 1st month, second month etc. This one also wasn’t difficult to write either, but I needed to make sure it would give the correct answer in the pivot table I was using. I wrote a couple of versions before settling on this one. Originally I had a relationship between the Calendar table and the Policy table, so this one looked different early on. But once I removed the relationship I could use a simple aggregation function to grab the value. The formula for the raw phasing was now pretty easy. Just multiply the Total Value of each policy by the percentage to allocate each month. Note again I am using the Phasing[Month] column, not the YYMM from the Calendar table. As you can see below, each policy is split into the 12 monthly buckets for the first month, second month and so on. Of course “which month” has not be resolved yet, nor has the aggregated total of all policies (the grand total row). It took me a few attempts to move on from here. I actually tried to write the final formula to show the Raw Phasing amounts above without breaking the problem into pieces. I soon realised that I needed to take a step back and try to solve a different problem first. I needed to be able to create a measure that would show the phasing month (1 through 12) and have that phasing month appear in the correct place in the pivot table. It should be clearer when you look at the result below. As you can see above, the first contract will be allocated the first month phasing in 1701, the second contract will be allocated the first month phasing in 1702 etc. It took me a few attempts to get this formula right too, and I ended up solving it in Excel first, then writing it in DAX. Sometimes solving logic in Excel can help. To understand why I needed the IF statement, take a look at the pivot table without the IF statement below. Actually, I probably could have kept the measure displaying as shown above, but it just felt “cleaner” to use the IF statement to clean it up. Note how I use the FILTER function in line 4 above to select the correct % to allocate to each month. If you refer back to the Phasing % to Allocate section earlier in this article, you will see that in that Pivot Table I placed the Month (1 through 12) in the test pivot table. This time I am using the Calendar table to create the Month (1 through 12) that should be used, and then I need to use this FILTER function to push that Month number onto the phasing table. This is the result. Note that the Grand Total is not working. Whenever the total doesn’t add up, I immediately reach for SUMX. The final formula I wrote and the resulting table is shown below. Once I had solved the problem, I decided to go back and combine the interim measures into a single consolidated measure that would be easier to manage and debug. With the benefit of hindsight, I should have used variables to start with. I have attached my workbook here. => Phasing Income I would love to hear from anyone that has a more efficient solution. Very helpful tutorial. The test data makes it so much easier to comprehend. As you mentioned, I’m sure this process involved a lot of trial and error so thank you for sharing what worked. Fabulous walkthrough, Matt! I always enjoy your blogs about stepping through a tricky problem. Your liberal use of comments in the final measure is wonderful! Well documented DAX measures are a beautiful thing.